Adrian “Cap” Anson was the first player to ever achieve 3,000 hits. After retirement Anson began acting as early as 1888 and continued until his death in 1922. 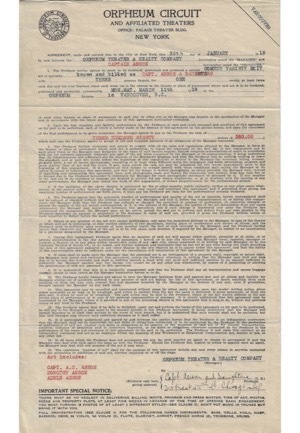 Offered in this lot is an Orpheum Circuit and Affiliated Theaters contract from Vancouver presumed to pertain to an act he would do with his grown daughters Dorothy and Adele from March 1918. 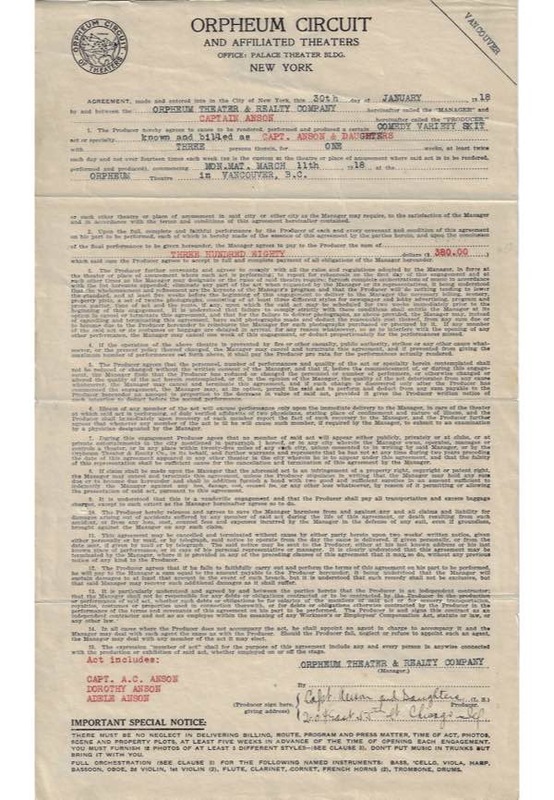 Although it shows moderate toning to be expected of a century old document, the contract is in remarkably well-preserved condition, bearing a powerful signature from the legendary baseball man and in our opinion the signature rates an 8. 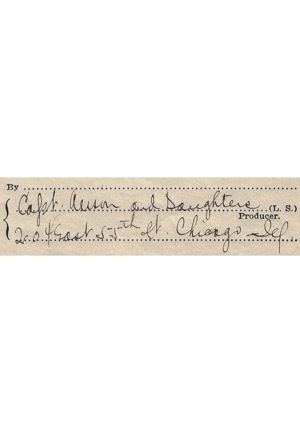 Anson signed the document as “Capt. Anson”, a rare variation of his signature. 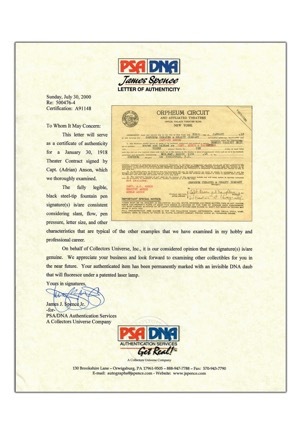 In short, a historically significant signed document with biographical relevance pertaining to one of baseball’s first ever superstars. Accompanied by a LOA from PSA/DNA.